DO YOU NEED TO SELL YOUR HOUSE FAST IN PALM BEACH COUNTY, FLORIDA? WE CAN HELP! WE BUY HOUSES IN PALM BEACH COUNTY AND ALL ACROSS FLORIDA. WE WILL BUY ANY HOUSE, IN AY CONDITION AND CAN CLOSE FAST (OR ON A DATE OF YOUR CHOOSING ). 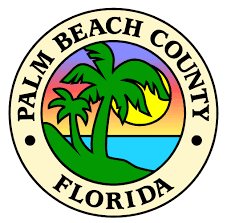 You are here because you are ready to sell your Palm Beach County house… we’re ready to give you a fair all-cash offer. We have already helped many other homeowners right here in Florida, and we can help you too! If you are ready to stop the frustration and stress of your unwanted property. Your next step is to contact us by filling out the form above or call us right now at 904-574-5737. Let us buy your Palm Beach County house now, regardless of condition. We promise to come through when others can’t. NO commissions or hidden fees. We pay ALL the typical closing costs through our local licensed and insured title company. The amount we offer you, is exactly what you walk away with. We buy AS-IS – You don’t have to worry about spending your own money or time making repairs are cleaning up the house. We’ll buy the house exactly how it is. STEP 1: Call us at 904-574-5737 or fill out our easy online form – it should only take 1 minute! STEP 2: We will review the information you submitted and someone from our buying team will contact you right away. We’ll get to know more about you and your home, as well as answer any questions you may have about our buying process. STEP 3: We’ll evaluate your home and prepare a no obligation, all cash offer for you. Remember, we buy houses in any condition, so you don’t have to worry if your home is in need of repairs or renovations. STEP 4: If you agree to the offer we present, we’ll arrange a closing with a reputable, local title company. On the day of the closing you’ll walk away with the exact amount we offered… there are NO hidden fees or costs involved. DO YOU NEED TO SELL YOUR HOUSE PALM BEACH COUNTY?